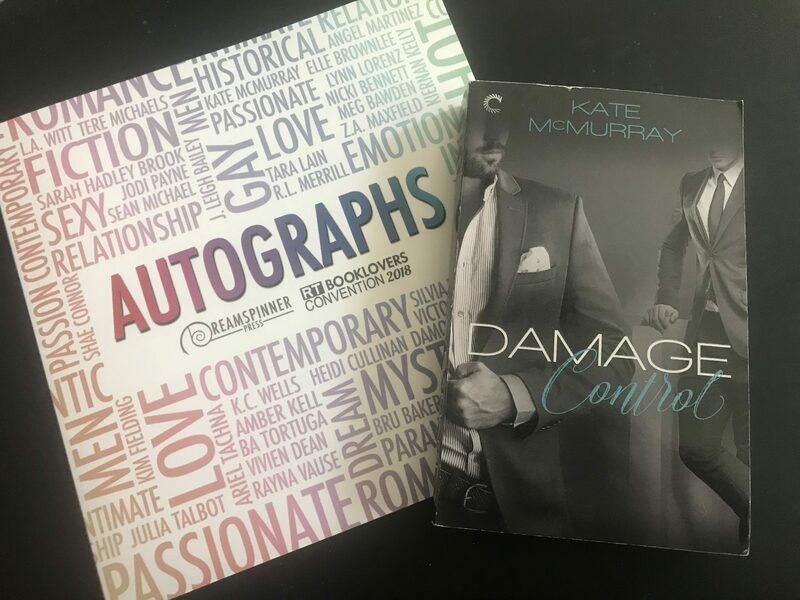 Damage Control is out a week from today! So, hey, how about a giveaway! Want a signed print copy of the book? And also one of these gorgeous Dreamspinner Press autograph books from this year’s RT, signed by most of the authors who were there? I’ve also got a bunch of paperbacks I’ve brought home from various conferences I’ve been to this year, including books by Cathy Maxwell, Beverly Jenkins, Lauren Blakely, and HelenKay Dimon, among others. Winner gets to choose however many books they want from my conference haul. U.S. readers only. You have until next Tuesday to do the thing and enter the contest. I’ll do what I can to mail books to you in a timely manner.